Smoking Mad? Proposed E-Cig Tax Sparks Concern In Montgomery Co.
People using e-cigarettes in Montgomery County may soon be forced to pay a little more. The county council introduced a bill Tuesday that calls for a tax on e-cigarettes, vaporizers and related paraphernalia that would match the current tax on tobacco. E-cigarettes and vaporizers are two versions of the same thing: They heat a flavored liquid electronically, creating a cloud of vapor that looks like smoke. It hasn't replaced tobacco, but it's growing in popularity. "Cigarettes are taxed at $2 per pack. Smokeless and other tobacco products are taxed at 30 percent as an excise tax. So we picked the same level for e-cigarettes," said council member Tom Hucker, who sponsored the bill. All other council members co-sponsored it, with one exception. If the tax passes — and it's believed that it will be — the bill will go into effect July 1. Daryl Mauhay, who uses a vaporizer, said he wouldn't vape less frequently if a higher tax were enacted. "No," he said. "Because I love vaping and stuff; that's why." Others say they may purchase the product and paraphernalia outside of Montgomery County. One other regulation will launch June 1, when Montgomery County makes it illegal to use e-cigarettes or vape in public places where smoking tobacco is prohibited. That law bans e-cigars, e-hookahs, e-pipes and vape pens from anywhere where smoking traditional cigarettes is banned. It also bans retail outlets from selling certain liquid nicotine or liquid nicotine containers unless they're in packaging that makes it difficult for children to get into. Only a few states have extended their tobacco laws to cover e-cigarettes. 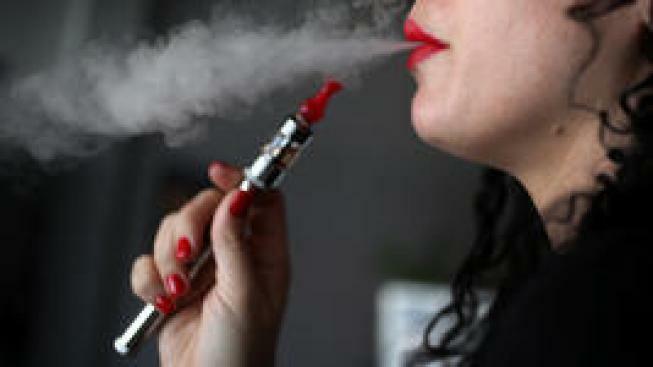 New Jersey, North Dakota and Utah have specifically prohibited the use of e-cigarettes in public places and work places, the council said.